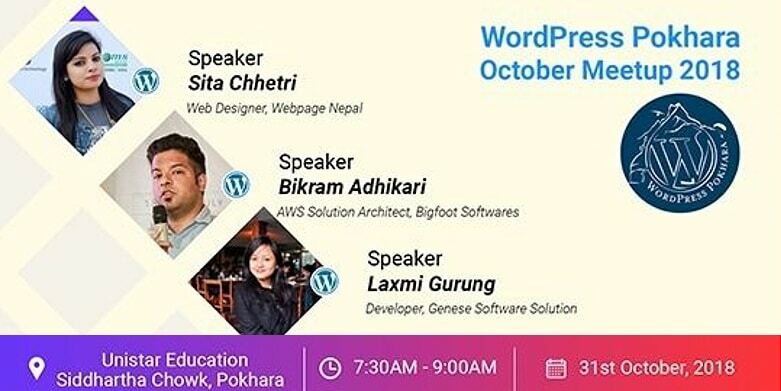 DevotePressPosted on November 22, 2018 Leave a comment on See You at WordCamp Pokhara 2018! Ladies and Gents! 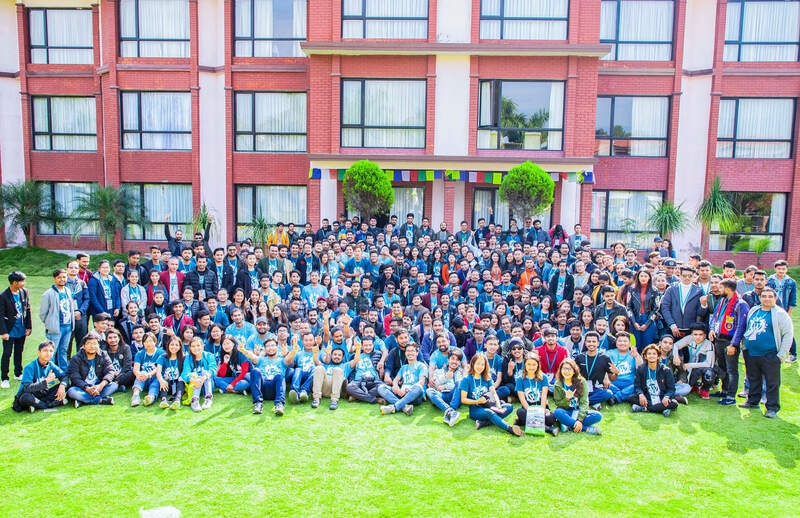 WordCamp Pokhara 2018 is only a few (2 to be precise) days … Continue ReadingSee You at WordCamp Pokhara 2018! 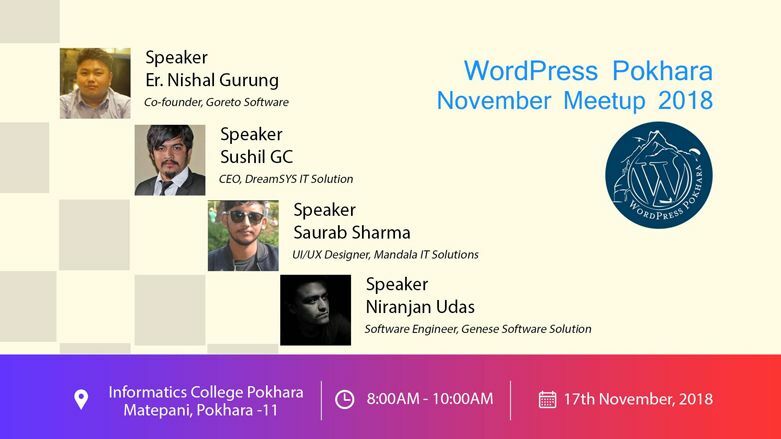 DevotePressPosted on November 13, 2018 Leave a comment on WordPress Pokhara November Meetup 2018 Announced! WordPressers! ‘Tis time for another local WordPress meetup in the beautiful city of lakes. The … Continue ReadingWordPress Pokhara November Meetup 2018 Announced! DevotePressPosted on October 30, 2018 Leave a comment on WordPress Pokhara October Meetup 2018 is Tomorrow! 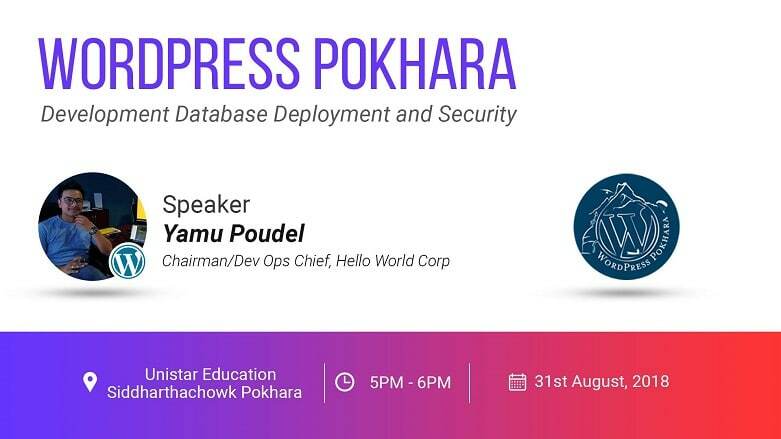 The WordPress Pokhara community has announced a local meetup to be held for the month … Continue ReadingWordPress Pokhara October Meetup 2018 is Tomorrow!